I really am trying to keep on top of my blog. I know my "missing in action" status shows otherwise at the minute, but it's just proving to be a lot harder to juggle things than I ever thought possible. Having a seven month old is a lot more time consuming than having a teeny newborn ever was - who would have thought it?! Not that I'm grumbling, I love my baby-activity filled days but there's no way they allow any form of sentence forming to happen. Newborn babies tend to sleep for the majority of the day so when I had one of those little humans I had posts published, planned and sat waiting, all ready to go. Now however, my beautiful little lady naps a few times a day but for twenty minutes at an absolute maximum. By the time I've settled her and crept downstairs then made a cuppa perhaps she's awake again - forget even looking at the laptop. But that's not the whole story, apart from being a Mum just where have I been lately? Hardly time productive is it but ah well, it's fab and I now have a whole new appreciation for it. I've been loving having a good old nose through all of the amazing quality photographs and equally brilliant quick snapshots that people post. Well yes, I do realise that it is currently filled with photographs of Willow in all of her cute little outfits but I seriously can't help myself. I mean we waited a whole lot of years for this little baby and there was even a point where we resigned ourselves to the fact that baby number two was never going to happen. And she was a she. Of course I was going to go all OTT on the wardrobe and accessories front - she's a girl - it had to be done. And of course I was going to simply have to share every bow, sock and headband with the world whenever I got an opportunity. That was a given as soon as I saw the scan photo. But I do totally understand that not all people will appreciate seeing these things the way that I do, be they acquaintances, friends, even family - but that's fine. 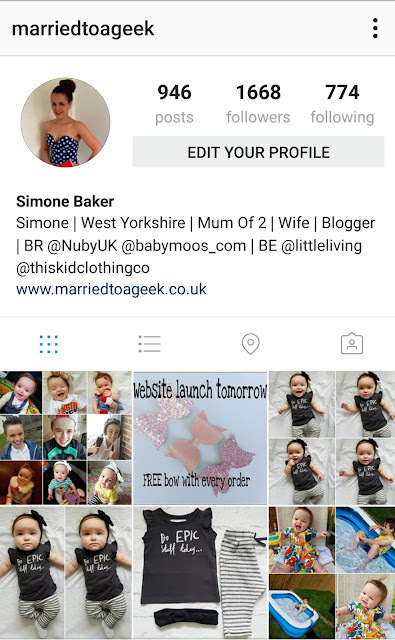 And having this time on Instagram has let me find other parents - mainly Mummies but some Daddies too - that want to share their sock/bow/OOTD photos as much as I do. They get all excited over a new hair bow release and will apply for Brand Rep opportunities even more than I do. Instagram it would seem, has it's own little community of picture posting parents. And I've even befriended a few too. Nah, not at all because everyone I've met is simply brilliant. Oooh how I love that I've discovered some of the cutest, Insta-businesses around...but more on those little treasures later. That is life though eh.